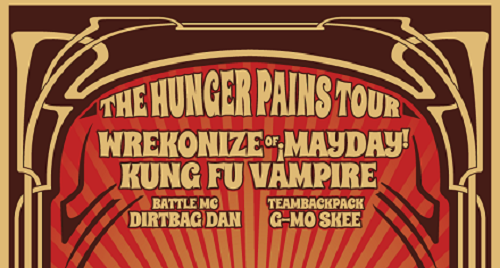 UPDATE: Dates For ‘The Hunger Pains’ Tour Featuring Wrekonize And Kung Fu Vampire! We now have the dates for ‘The Hunger Pains’ Tour that is starting up in March! Check out the tour video below and cop your tickets now! 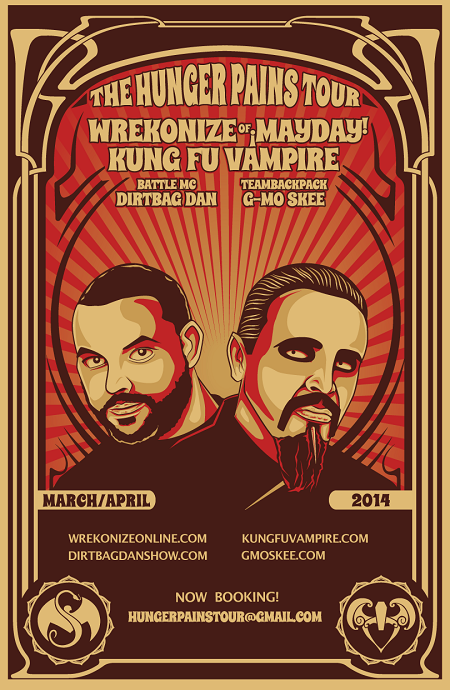 – Are you excited to see Wrekonize on tour? – What songs do you think he should perform?